SUMIDA-WARD, Japan - March 14, 2019 - PRLog -- When gentle breezes warm the air, after cherry blossoms have gracefully fallen and azaleas are in full bloom, springtime in Japan has fully awakened. 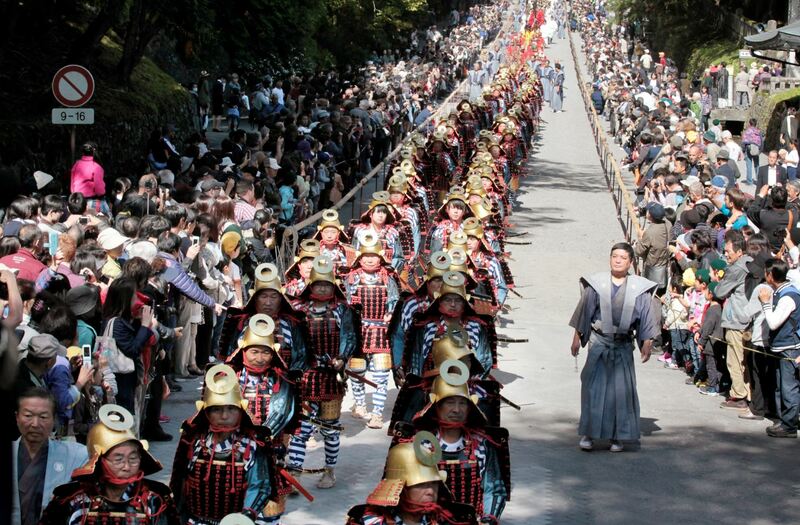 This is the season for traditional cultural festivals or Matsuri. A number of these take place in and around Tokyo and are accessible via Tobu Railways. 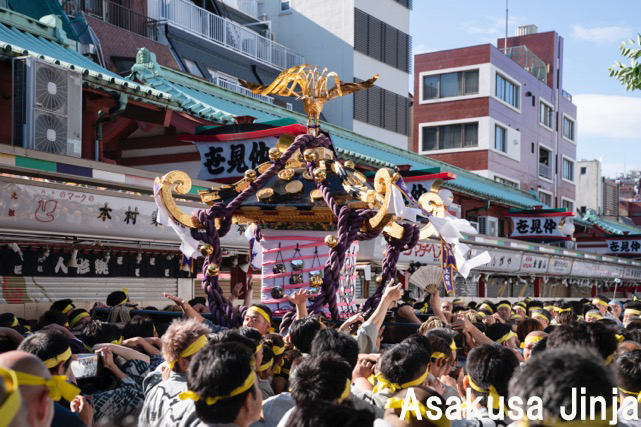 The 700-year-old Sanja Matsuri allows visitors to truly experience the historic Edo Period ambience of Tokyo's Shitamachi or historic downtown. 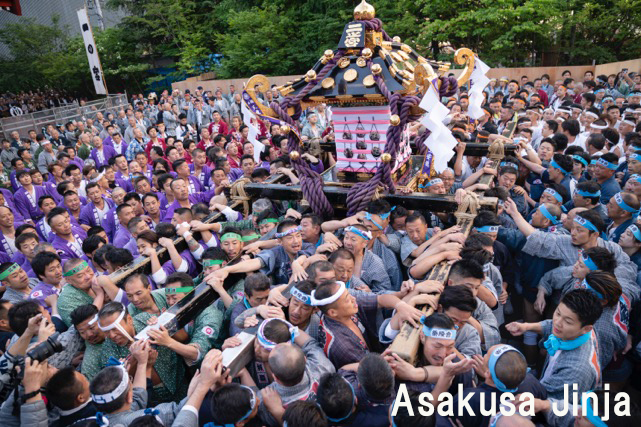 During the festival, neighborhoods within the region compete to show off their intricately-decorated mikoshi or portable shrines. These are carried boisterously through the streets near Asakusa Jinja (shrine). Nearly 1.8 million people attend the celebrations over three days. The Sensoji temple complex, within which Asakusa Jinja is located, is the largest temple in Tokyo and one of the city's most popular inbound tourist attractions. Even on non-festival days, visitors love riding through the back streets in historic rickshaws driven by their own period-costumed personally-proclaimed ninja. They also enjoy snapping selfies while passing through the Kaminarimon (Thunder Gate) and strolling down the Nakamise-dori (shopping street), lined with kiosks selling traditional foods and wares. The Nikko Toshogu Shrine Annual Grand Spring Festival takes place in Nikko, a town just two hours north of Tokyo on the Tobu Railway line. It's renowned for its natural beauty and UNESCO World Heritage sites, of which Toshogu-jinja, enshrining the spirit of Tokugawa Ieyasu, is the crown jewel. Ieyasu was the first in a long lineage of Tokugawa shoguns, who ruled Japan until the Meiji Restoration in 1868. The event offers prayers for peace and prosperity by presenting the bounty of spring. 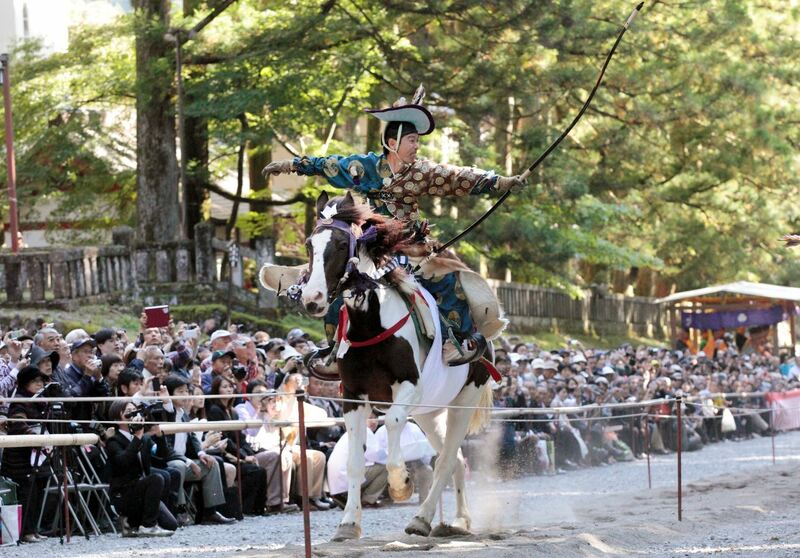 Highlights of the festival include the skillful spectacle of Yabusame (horseback archery) and a parade of about 1200 people in traditional 16th Century warrior costumes from the time when Ieyasu united the warring states of Japan. Japan's "Bonsai Mecca." 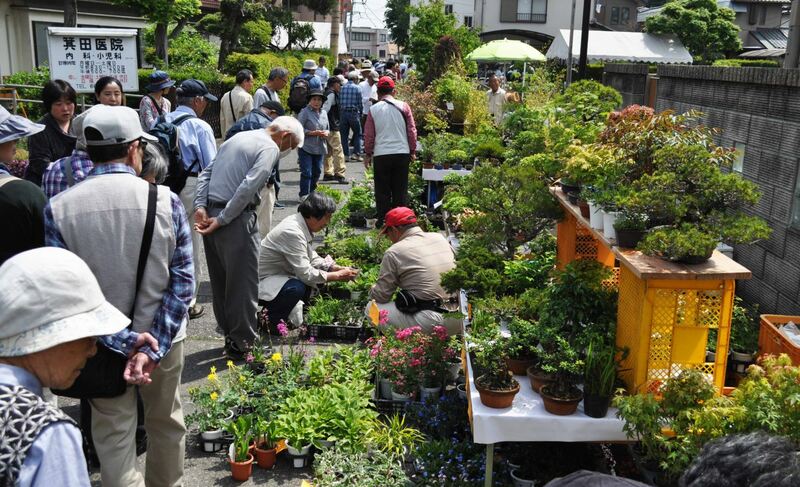 Here, just an hour north of Tokyo on the Tobu Urban Park Line, there are numerous growers of these mini ornamental trees all in one place, attracting enthusiasts from around the world. This year marks the 36th annual Bonsai Festival, showcasing a wide variety of bonsai, from the reasonably-priced to the extremely valuable. Nearby, is the Omiya Bonsai Art Museum (http://omiyabonsai.jp/museum), the world's first publicly funded bonsai museum, featuring famous bonsai, paintings and ukiyo-e prints of bonsai, and historical and cultural archives. Audio guides are available in Japanese, English, Korean and Chinese.